Has the death of David Hartley finally been solved? 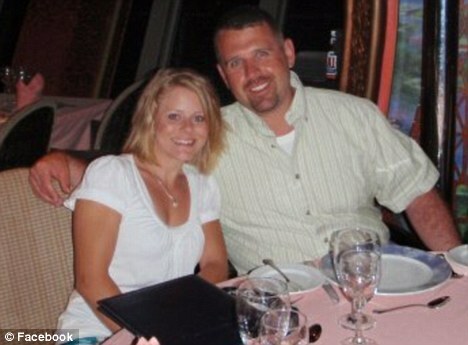 David Hartley was reported murdered on September 30, 2010 when he and his wife, Tiffany Hartley, were jet skiing on Falcon Lake between the US and Mexican border. It is believed that they wondered into the middle of a drug trade. Tiffany escaped; however, David was reportedly shot and killed. His body has never been recovered. Monday, Mexican authorities said they had arrested a leader of the ruthless Zetas drug cartel and linked him to the Falcon Lake killing. The arrest of Zeta drug cartel’s Salvador Alfonso “The Squirrel” Martinez Escobedo was arrested and is being called a suspect in the murder of David Hartley. The Squirrel is responsible or has had a hand in numerous murders. Mexican authorities also suspect Martinez is behind the 2010 slaying of 72 migrants in Tamaulipas. Authorities accuse Martinez, known as “The Squirrel,” of being a regional leader of the Zetas in three northern Mexican states and heading up a brutal battle with the rival Gulf cartel. They had offered a reward of more than $1 million for information leading to his capture. He was picked up in the Mexican border city of Nuevo Laredo on Saturday night and presented to the media on Monday. But one Texas sheriff says the 31-year-old alleged cartel leader wasn’t on a list of five suspect names in the Hartley case that he’s handed over to the FBI. “Based on the information I have, he may have been the one responsible for that area, but not the one responsible for the actual killing,” said Sigifredo Gonzalez, sheriff of Zapata County, Texas. But is Salvador Alfonso Martinez Escobedo responsible for David Hartley’s death? It is not quite sure how “Commander Squirrel” is connected to the murder of Hartley. The statement also alleged that the Squirrel was responsible for the murder of the police official investigating Hartley’s death.